This beautiful Custom made table had a Glass top cut to fit. 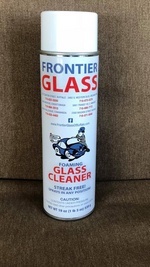 Our private label glass cleaner. Its made in the USA!! !